The White House also confirmed the pair would meet on the sidelines of the summit, which will be held in Hamburg, Germany on July 7 and 8. Donald Trump and Pena Nieto first met in August 2016, when the former was still a candidate. 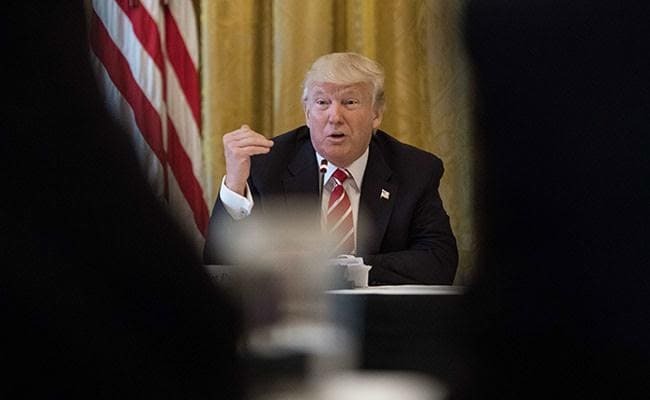 Mexico City: US President Donald Trump and Mexico's Enrique Pena Nieto will meet on the sidelines of the G20 summit next week, officials said Thursday -- five months after their first official meeting was aborted in a diplomatic spat. "The two leaders will review advances on different issues in the bilateral relationship," the Mexican foreign ministry said on Twitter. In January, Pena Nieto cancelled a trip to Washington in response to Trump's insistence that Mexico pay for his planned border wall, plunging the countries' relations into their biggest crisis in decades. Together with Trump's attacks on Mexican immigrants as "criminals, drug dealers and rapists" and his insistence on holding tough new trade negotiations, the cancelled visit has come to represent Mexico's problematic new relationship with its northern neighbor. Trump and Pena Nieto first met in August 2016, when the former was still a candidate. That visit turned into a public relations nightmare for Pena Nieto, who was lambasted for welcoming the brash Republican billionaire despite his insults and threats on Mexico.